To improve the well-being and aid the self-sufficiency of immigrant communities in the city of Chicago. 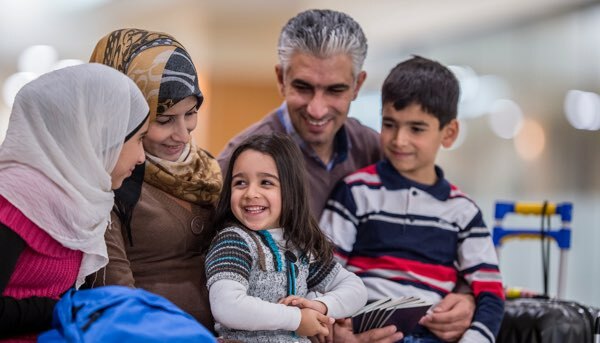 Multicultural Resources provides resources in the form of information, referrals, advocacy, and empowerment to immigrant and refugee communities. Our services include housing counseling, support access to higher education, immigration related issues, assistance with social service applications and public benefits, referrals to partner organizations, and other professional service agencies. In 2016-17 we served 349 clients between our three MRP programs: Illinois Department of Human Services Multicultural Resources, the Illinois Family Resources Program, and the New Americans Initiative. The program was featured in the Windy City Times for its involvement in the HIV Health Fair in observance of the National Asian and Pacific Islander HIV/AIDS Awareness Day. Check out photos from the event. Previously, we co-sponsored events on the criminalization of immigrants/immigration with Project NIA and participated in Forced Out: A Unity Forum, which brought together human rights and community organizations for a teach-in at the University of Illinois-Chicago to address the issues of deportation and incarceration. The Adler School of Professional Psychology covered the event. Check out photos from the events. In 2011, Multicultural Resources participated in the first ever North Side Immigrant College Forum. The event brought panelists from educational nonprofits and immigrant rights organizations to answer questions about college admissions and financial aid. After the presentation, local college and university admissions counselors were invited to disseminate information on their respective schools. Check out photos from the event. During the college fair portion of the event, a staff member was able to chat with Priscilla, an 11th grader, from the Chicago Math and Science Academy. Priscilla was sitting down in the auditorium reading a Northwestern University admissions brochure. From what the staff member could see, she had a stack of admissions materials from Loyola, DePaul and UIC on her lap. Priscilla was asked where she went to school and what grade she was in, to which she responded I am a junior at CMSA. I'm just looking at the brochure, but I don't think I will get in though. A Multicultural Resource staff member empowered Priscilla by reminding her that she attended the forum, which was a great first step toward gaining knowledge about college preparation. Priscilla communicated to the staff member that she had been having some difficulties in school due to her home situation: her brother was having legal problems and her parents were undocumented. She recently transferred to the Chicago Math and Science Academy. She was fortunate for the transfer because it was better than her previous school. Priscilla worked part-time after school. Priscilla was informed that college admission officers count work as an extracurricular activity; it demonstrates self-sufficiency and maturity. Priscilla felt that the personal narrative from the Immigrant Youth Justice League panelist resonated with her, for she had never heard of an outspoken undocumented person, let alone someone in her peer-group. She revealed that college was not something she had ever planned for due to her family's mixed-status and her familial obligations. Priscilla was glad she attended the North Side Immigrant College Forum. Her insecurities about applying to college next year seemed to diminish after listening to empowering stories from the panelists during the event. In addition, the Multicultural Resource Program was able to provide Priscilla with the vital information necessary to plan her next steps.